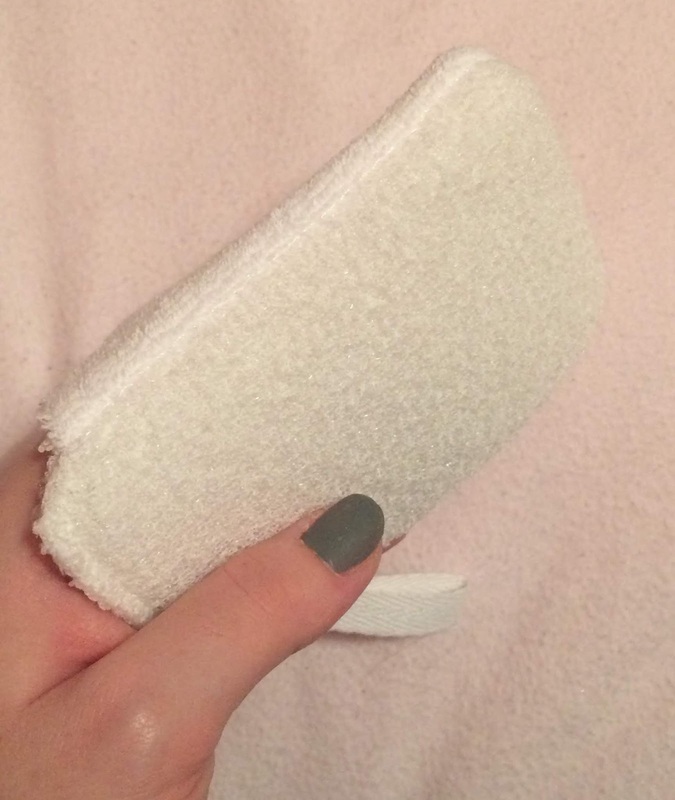 Afterspa, Facial Micro Scrubber (Full size, RRP £7) - Just what I needed! Really excited to try this product out when I next wash my face! I've just opened it up and it's a little hand mitt so it will be really easy to use. One side has the facial scrubber and on the other side is a soft flannel so its kind of a 2-in-1 product for washing your face and the exfoliator side doesn't feel like it will to harsh on your skin but will still give a nice exfoliation scrub. *Update* just used this to wash my face and it's amazing! the flannel side was great to wet my face and rinse my face of and the scrub size worked well as an exfoliator but was still quite gentle on my skin and it's made my skin loves and soft ad hopefully using the exfoliator with my face wash will help clear out my pores. free and vegan and formulated with 98% natural ingredients. Sand & Sky, Brilliant Skin™ Purifying Pink Clay Mask (Sample size) - I love a face mask so looking forward to using this in a little self-care pamper session or pack in in my travel bag for a stay away or for hospital when I need a bit of a treat. This product has a "4-in-1 formula to detox, invigorate, refine and brighten your skin. It has aloe vera and pomegranate to tighten pores for a radiant skin." A little something extra. You can never have too many hair bobbles, as they often grow legs and go walk-about and you literally find them everywhere, especilally if you have long hair! I also got a sample size Philip Kingsley Flaky/Itchy Scalp Shampoo which I've given to my Dad.